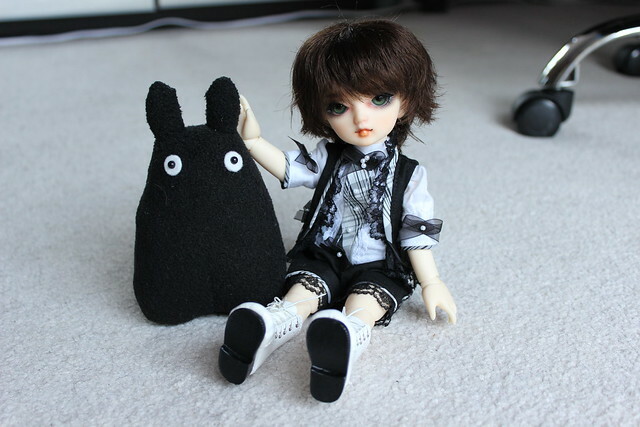 Sora made friends with my ghostly Totoro. He’s a special edition from the Ghibli Museum, from the short film “Mei and the Kittenbus” that can only be viewed there. Here’s the LUTS 2012 Summer Event limited head. 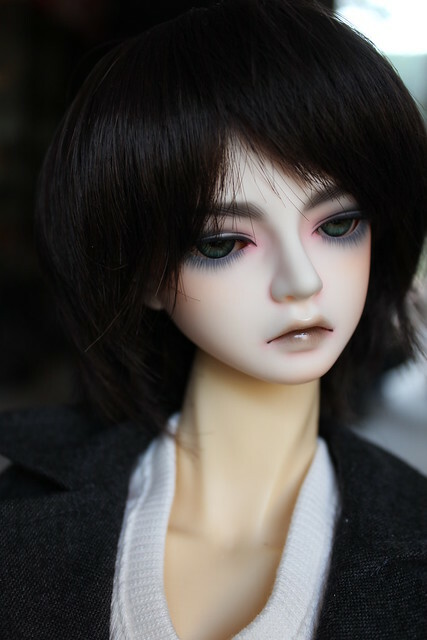 He has one of the optional faceups from LUTS and looks like a dark, broody vampire. When Thaddeus got his body back, Machiko changed his outfit into this cool Volks steampunk set. 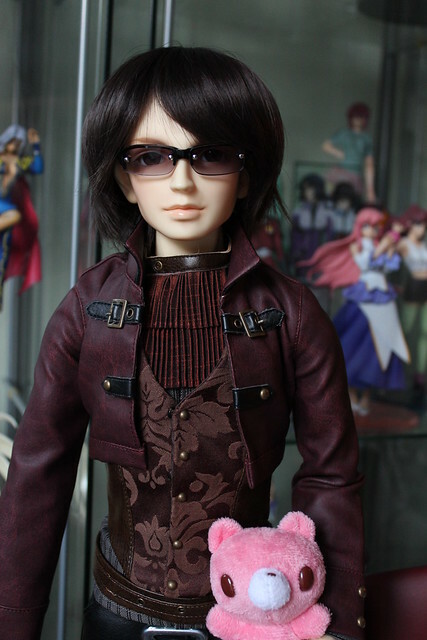 I bought it a while ago intended for him, but didn’t put him in it because I was waiting for a new wig for him. Of course, once his wig arrived I rather liked the “Benedict Cumberbatch – Sherlock Holmes” look he had going on so I didn’t bother to change him! Hehe – I think he looks pretty awesome in this new outfit. The tight leather pants are smoking hot! 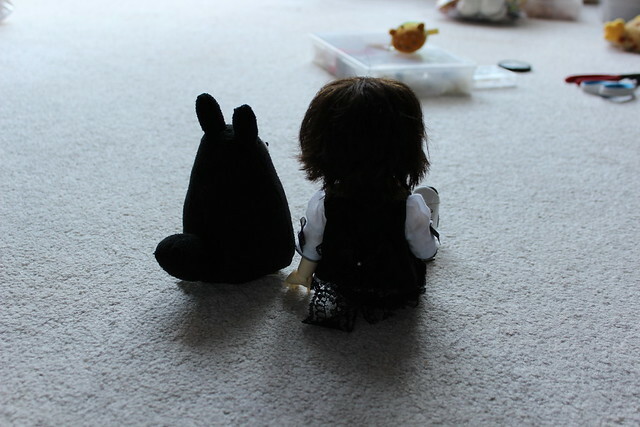 I had asked Machiko and Alice to bring some “human” eyes to try in Anna’s head, to see how they looked. 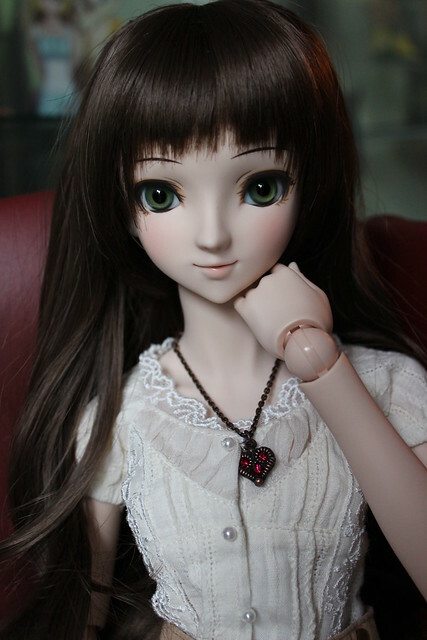 Here she is wearing a pair of 16 mm acrylic eyes – the colour is a bit off but it doesn’t look bad. 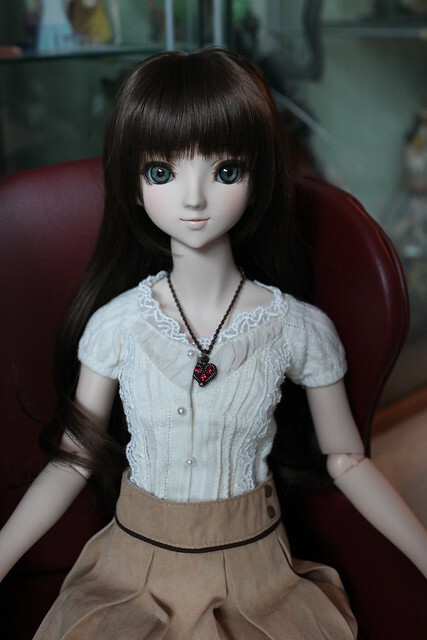 Next I tried the 16mm glass eyes that Sora was wearing. This green looks very beautiful on her and I like the glossy shine of the white part of the eye. 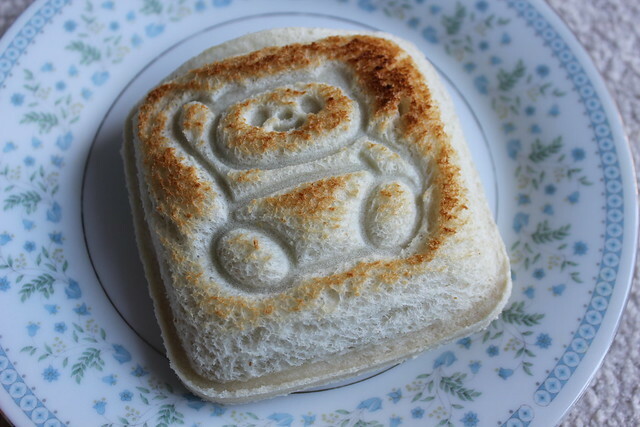 Kevin made amusing little Toastie sandwiches for us to snack on in the mid-afternoon. Thanks for stopping by ladies! 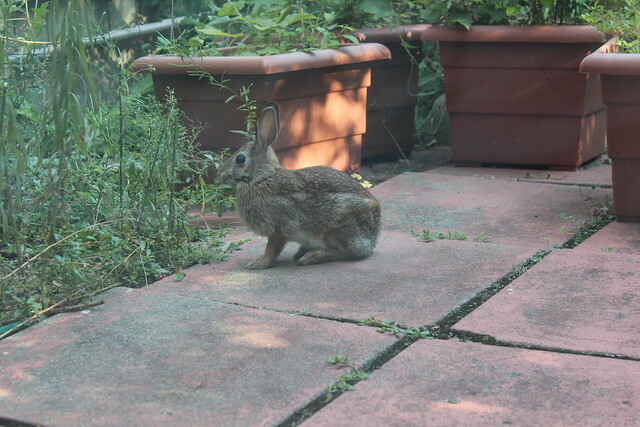 It was nice having you over! 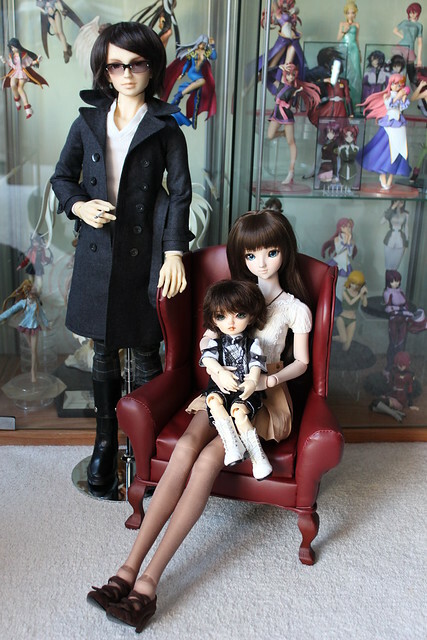 This entry was posted in BJD Misc, Doll Meetup, Volks Super Dollfie and tagged Annalise, Dollfie Dream, SD16, Thaddeus, Volks by archangeli. Bookmark the permalink. AHH SORA!! >___<;; LOL That picture is so scary. 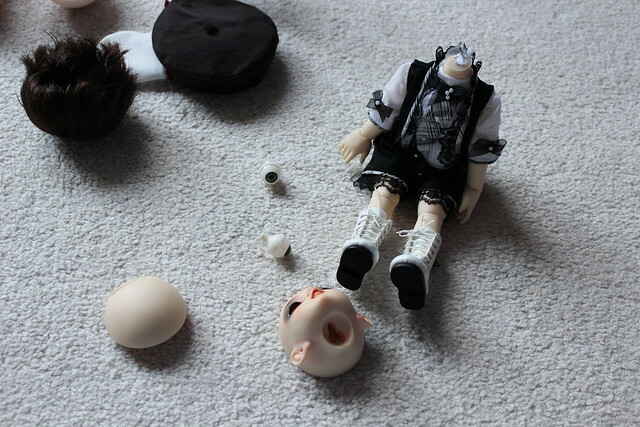 No wonder some people are afraid of dolls! haha..!